The study of systems and architectures for ambient assisted living (AAL) is undoubtedly a topic of great relevance given the ageing of the world population. On the one hand, AAL technologies are designed to meet the needs of the ageing population in order to maintain their independence as long as possible. On the other hand, internet of things (IoT) proposes that various “things,” which include not only communication devices but also every other physical object on the planet, are going to be connected and will be controlled across the internet. The continuous technological advancements turn possible to build smart objects with great capabilities for sensing and connecting turn possible several advancements in AAL and IoT systems architectures. Advances in networking, sensors, and embedded devices have made it possible to monitor and provide assistance to people in their homes. 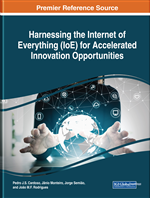 This chapter reviews the state of art on AAL and IoT and their applications for enhanced indoor living environments and occupational health. Ambient Assisted Living (AAL) is an emerging multi-disciplinary field aiming at providing an ecosystem of different types of sensors, computers, mobile devices, wireless networks and software applications for personal healthcare monitoring and telehealth systems (“Universal Open Platform and Reference Specification for Ambient Assisted Living: http://www.universaal.org/.,” n.d.). AAL aims to addresses the technologies that can be used to increase the quality of life of elders or disabled by providing a secure and protected living environment (Bacciu, Barsocchi, Chessa, Gallicchio, & Micheli, 2014). A great diversity of scientific research groups from multiple areas merge efforts to create solutions to help people to stay at home as long as possible (Fuchsberger, 2008). AAL delivers significant opportunities in the progress of advanced Information and Communication Technology (ICT) solutions, services and systems with the aim to increase the quality of life, autonomy, social life participation and employability, reducing the costs of health and social care (Botia, Villa, & Palma, 2012). Ambient intelligence (AmI) represents a generation of intelligence computing where a great diversity of sensors and computers stand everywhere and for everyone, AAL is a variety of AmI systems (Cubo, Nieto, & Pimentel, 2014). AAL solutions aim to assist the elderly people independently and actively living should leverage the efforts from both the technical side and social side. Currently, there are a divert of efforts done by the government side focusing on the social connections (Sun, Florio, Gui, & Blondia, 2009). AAL need to supply both those who are presently ageing and are more probable to be technology averse, and those who will be elderly in the next decade but who may be technology friendly (O’Grady, Muldoon, Dragone, Tynan, & O’Hare, 2010). AAL systems will lead to positive impacts on different dimensions of health and quality of life. The needs and problems of the elderly can be addressed by applying appropriate solutions which influence the physical, mental and social dimensions of quality of life (Siegel, Hochgatterer, & Dorner, 2014). Currently, there are different AAL projects based on several sensors for measuring weight, blood pressure, glucose, oxygen, temperature, location and position and which use wireless technologies such as ZigBee, Bluetooth, Ethernet and Wi-Fi. There’s a lot of challenges in the design and implementation of an effective AAL system such as information architecture, interaction design, human-computer interaction, ergonomics, usability and accessibility (Koleva, Tonchev, Balabanov, Manolova, & Poulkov, 2015). There are also social and ethical problems such as the acceptance by the older adults and the privacy and confidentiality that should be a requisite of AAL devices. In fact, it is also important to ensure that technology does not replace the human care and should be used as an important complement. At 2050 20% of the world population will be age 60 or older (“UN,‘Worldpopulationageing:1950–2050,’2001,pp.11–13.,” n.d.) that will result in an increase of diseases, health care costs, shortage of caregivers, dependency and brutal social impact. The is a fact that 87% of people prefer to stay in their homes and support the enormous cost of nursing care (“Centers for Disease Control and Prevention, n.d.). The indoor living environments should be monitored in real time as typically people spend about 90% of their time in indoor environments. In the case of older people and new-borns who are most likely affected may spend all their time in indoor environments (Walsh, Dudney, & Copenhaver, 1983). In particular, indoor air quality (IAQ) is a significant determinant of personal exposure to pollutants. The assessment that indoor air quality indicators must thereby determine how well indoor air (a) satisfies thermal and respiratory requirements, (b) prevents unhealthy accumulation of pollutants, and (c) allows for a sense of well-being as proposed by (Gold, 1992). The Internet of Things (IoT) concept states that numerous “things”, which include not only communication devices but also every other physical object on the planet, are going to be connected and will be controlled across the Internet (Atzori, Iera, & Morabito, 2010). IoT will increase the ubiquity of the Internet by integrating every object for interaction via embedded systems, which leads to a highly distributed network of devices communicating with human beings as well as other devices (Xia, Yang, Wang, & Vinel, 2012). Advances in low-cost sensor manufacturing, communication protocols, embedded systems, actuators and hardware miniaturization have contributed turn possible to create intelligent IoT architectures (Pattar, Buyya, Venugopal, Iyengar, & Patnaik, 2018). Physical objects are embedded in technology and connected to the Internet in order to turn them smart. Therefore the “smart things” linked with middleware services helps to address the challenges of day-to-day life. IoT offers ubiquitous connectivity provided by intelligent, automatic, smart, and context-aware physical objects that think and act intelligently, without explicit human involvement (Agiwal, Saxena, & Roy, 2018). IBM’s studies reveal how new technologies support the development of the IoT to provides the foundational infrastructure for a smarter planet (van den Dam, 2013). IoT and AAL should continue side by side, mutually contributing with scientific advances in technologies for enhanced living environments and occupational health. As people typically spend more than 90% of their time in indoor environments, the indoor living environments must be perceived as an imperative variable to be controlled for the inhabitants’ wellbeing and occupational health (Walsh et al., 1983). Recently, several new systems have been developed for monitoring environmental parameters, always with the aim of improving the indoor air quality efficiency and occupational health (Marques & Pitarma, 2016a, 2016b, 2017, 2018; Pitarma, Marques, & Ferreira, 2017). The availability of cheap, low power, and miniature embedded processors, radios, sensors, and actuators, often integrated on a single chip, is leading to the use of wireless communications and computing for interacting with the physical world in applications such as air quality control and healthcare ICT systems. Considerable research is being carried out on building intelligent environments around people and on “smart homes” in order to improve the independence of the elderly people and reduced the required manual work. Devices such as RFID, motion detector and wearable sensors are used to assist the daily lives of the elderly people (Sun et al., 2009). In this paper, the topic of smart homes, wearables sensors and the IoT and AAL related projects will be discussed. Wearables: Computing devices that are worn under, with, or on top of clothing. Ambient Intelligence: A concept that deals with a new world where computing devices are spread everywhere, allowing the human being to interact in physical world environments in an intelligent and unobtrusive way. Internet of Things: The concept that refers numerous “things,” which include not only communication devices but also every other physical object on the planet, are going to be connected and will be controlled across the Internet. Smart Cities: Cities who adopt scalable solutions and computer science solutions to increase efficiencies, reduce costs, and enhance the quality of life. Personal Healthcare: Healthcare centered on the patient and provided anytime, anywhere, inside and outside the institutional points of care. Ambient Assisted Living: An emerging multi-disciplinary field aiming at providing an ecosystem of different types of sensors, computers, mobile devices, wireless networks and software applications for personal healthcare monitoring and telehealth systems. Smart Homes: A smart home is a residence that uses Internet-connected devices to enable the remote monitoring and management of appliances and systems, such as lighting and heating.